HomeHiFiShow CoverageAxpona 2019Axpona 2019: Analog Analog Everywhere! Axpona 2019: Analog Analog Everywhere! The simple act of removing a record from its sleeve, placing it on a turntable, queuing it up, and giving it quick brush off takes time. I like to call that time a ritual—a few moments of reflection and concentration before the event. A prequel. A prelude. To my mind, this ritual makes the event special. 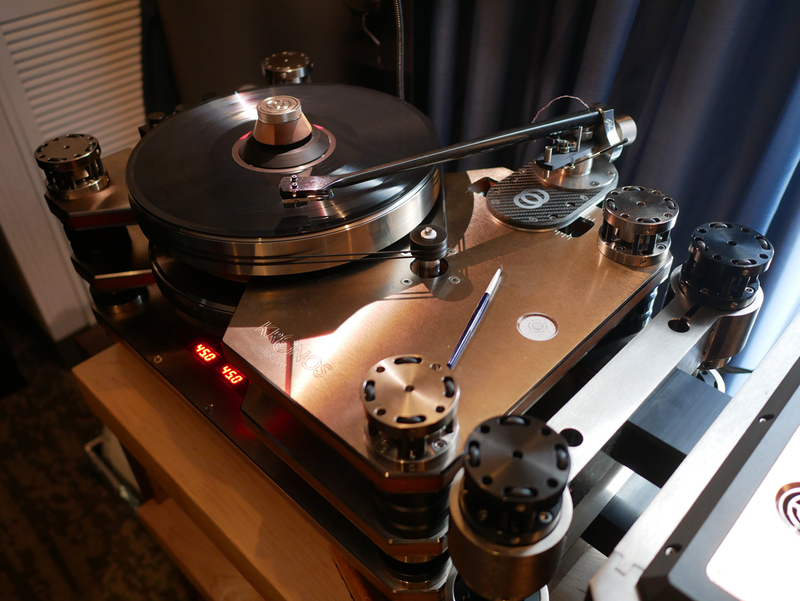 The rooms at Axpona 2019 spinning records had a slow pace, an intimate feel. Records also lend themselves to focused listening, which is the kind of listening everyone at Axpona is ideally interested in. Here’s an ode to some of the ‘tables of Axpona 2019.